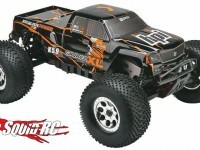 Savage XL « Big Squid RC – RC Car and Truck News, Reviews, Videos, and More! You are browsing the "Savage XL" tag archive. HPI Racing has announced that their two big boys, the Savage XL and Savage Flux are now shipping with a 2.4GHz radio system! Both of these trucks Reviewed very well, and adding a 2.4GHz radio makes it even more basher friendly! Drop by the official HPI Racing site for more information.